We all know that alcohol isn't great for our overall health, but did you know it could actually be the culprit that is causing your gums to recede? According to a study recently published within the Journal of Periodontology, that is entirely possible. Researchers believe that alcoholics tend to have greater levels of gum recession than people who are not dependent on alcohol. This study used 86 participants in order to study the effects of alcohol on gum disease and gum recession. Researchers found that even when a small amount of alcohol was consumed, gum disease and receding gums appeared more often. Certain bacteria were found to occur more often in alcohol users than people who didn't use alcohol. People who drank alcohol also had higher inflammatory chemical signal levels than non-drinkers. The takeaway from this information is that if you drink alcohol regularly, there are steps that you'll need to take in order to prevent gum recession. Since one of the most likely mechanisms for increase gum disease is dehydration, you'll want to make sure you are staying hydrated when drinking - and alcohol doesn't count. Try to alternate between alcoholic beverages and water when you are out on the town. If you are drinking, don't allow yourself to forget about the importance of your oral hygiene. Make sure that you are brushing and flossing your teeth when you get home at night and before you go to bed, as alcohol is full of sugar that can feed the bacteria that cause decay and gum disease. Additionally, if you notice the signs of gum recession, be sure to visit your dentist right away and consider cutting back on your alcohol consumption. Remember that moderate alcohol consumption is good for your teeth and gums, especially red wine. 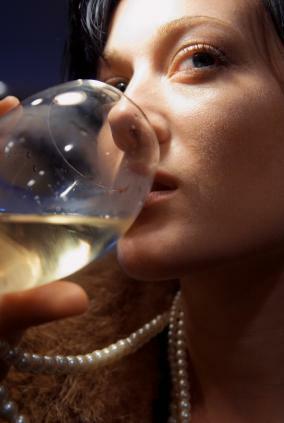 The key is to control your drinking, as too much alcohol could actually worsen gum disease. Please contact us if you have any questions about receding gums.